A mushroom is not a vegetable but rather a fungus, with over 38,000 varieties worldwide. Mushrooms grow year-round and do not need sunlight to grow. As a result, they are a versatile and readily available food choice. 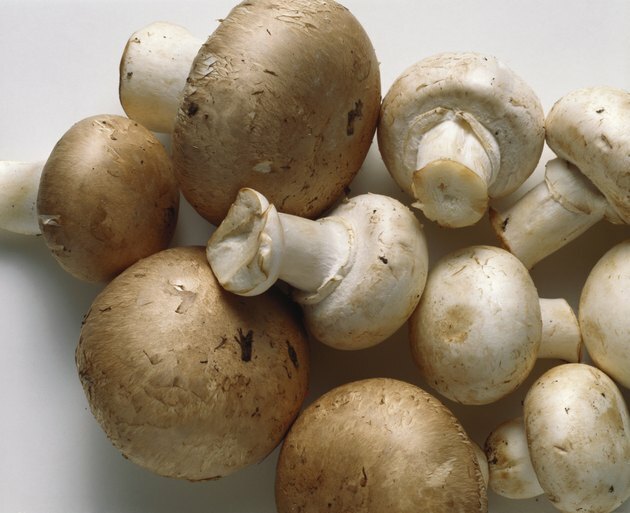 Whether you choose to eat them raw or boiled, mushrooms offer many nutritional benefits. While you might believe that cooking removes most of the vitamins and minerals from your food, this is not always the case. According to Rui Hai Liu, a professor of food science at Cornell University, boiled mushrooms provide more antioxidants to your body, including carotenoids and ferulic acid, than their raw counterparts. In addition, the "Journal of Agriculture and Chemistry" determined that boiling is the ideal method for cooking for vegetables and maintaining their antioxidants. While boiling mushrooms can help increase antioxidants, it can also remove some of their vitamin C content. This is because vitamin C is unstable and quickly destroyed through exposure to the heat of boiling water. In a study conducted by the "British Journal of Nutrition," a group of people who followed a raw food diet had normal vitamin A levels and high bets-carotene levels. However, they exhibited low levels of lycopene, a powerful antioxidant. Regardless of whether you eat your mushrooms raw or boiled, it is important to follow guidelines for preservation. When you are shopping for mushrooms, look for mushrooms that are firm and free of moisture. Avoid mushrooms that have blemished caps or visible mold. When you get home, immediately place mushrooms in a paper bag in the refrigerator. Airtight bags and plastic will retain moisture and encourage spoilage. If properly stored, mushrooms will last up to five days. Comparing and contrasting raw and boiled mushrooms is a complicated process. The ways in which plant molecules interact with your body is still somewhat of a mystery to modern science. Ultimately, the choice is yours to make. The bottom line, according to experts, is to prepare them in the way that is most appealing to you. If you enjoy them, you will be more likely to eat them and thus reap the benefits of their nutritional value.